The West Coast Eagles are inviting girls aged 5-18 years the opportunity to participate in a fun football experience these school holidays. We are targeting players from our Female Inclusion Academy plus junior and youth girls’ players from the Districts of Claremont, East Fremantle, South Fremantle and Peel. 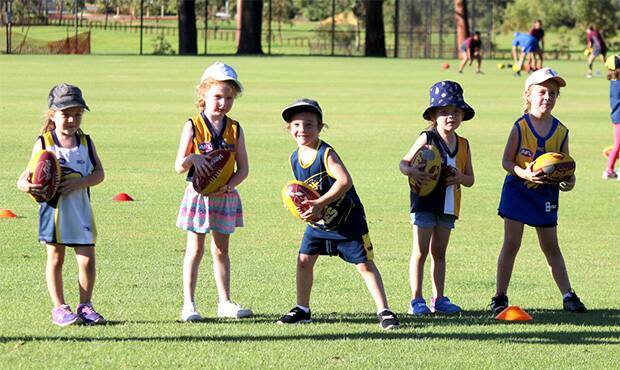 Parents will also be encouraged to throw on some active wear and learn some AFL skills in a separate group. Our Female Academy players will provide high level coaching support to all attendees. Registrations for the pre-primary to Year 6 session will begin at 9.30am and proceedings will kick off at 11am for the Year 7-12 group.